This site is not designed to and does not provide medical advice, professional diagnosis, opinion, treatment or services to you or to any other individual. Through this site and linkages to other sites, Indraprastha Indraprastha Apollo Hospitals provides general information for information purposes only. The information provided in this site, or through linkages to other sites, is not a substitute for medical or professional care, and you should not use the information in place of a visit, call consultation or the advice of your physician or other healthcare provider. Indraprastha Indraprastha Apollo Hospitals is not liable or responsible for any advice, course of treatment, diagnosis or any other information, services or product you obtain through this site. All the information displayed, transmitted or carried by Indraprastha Apollo Hospitals and its related websites including, but not limited to, directories, guides, news articles, opinions, reviews, text, photographs, images, illustrations, profiles, audio clips, video clips, trademarks, service marks and the like, collectively the "Content", are protected by the copyright and other intellectual property laws and be informed that the content of the same is not intended to be a substitute for professional medical advice and not for solicitation of business. The Content is owned by Indraprastha Apollo Hospitals, its affiliates or third party licensors. You may not modify, publish, transmit, transfer, sell, reproduce, create derivative work from, distribute, repost, perform, display or in any way commercially exploit any of the Content. You agree to abide by all copyright notices and restrictions attached to any Content accessed through the Indraprastha Apollo Hospitals website and not to alter the content in any way. Permitted Use you may take a single copy of the Content displayed on the Indraprastha Apollo Hospitals for personal, non-commercial use only, provided that you do not remove any trademarks, copyright and any other notice contained in such Content. You shall not archive or retain any Content in any form without written permission. The information provided in this site for the sole purpose of disseminating health information for public benefit. The Indraprastha Apollo Hospitals website contains facts, views, opinions, statements and recommendations of users of the Indraprastha Apollo Hospitals website, advertisers, third party information providers and organizations. The Indraprastha Apollo Hospitals website does not represent or endorse the accuracy, completeness or reliability of any advice, opinion, statement or other information displayed, uploaded or distributed through the website. You acknowledge that any reliance upon any such opinion, advice, statement or information shall be at your sole risk. Indraprastha Apollo Hospitals makes no warranty or representation whatsoever regarding the website or any content, advertising services or products provided through or in connection with the website. Indraprastha Apollo Hospitals expressly disclaims any and all warranties, express or implied, including, without limitation without limiting the foregoing, Indraprastha Apollo Hospitals shall not be liable to you or your business for any incidental, consequential, special, or punitive damages or lost or imputed profits or royalties arising out of this agreement or any goods or services provided, whether for breach of warranty or any obligation arising there from or otherwise, whether liability is asserted in contract or tort (including negligence and strict product liability) and irrespective of whether you have been advised of the possibility of any such loss or damage. Each party hereby waives any claims that these exclusions deprive such party of an adequate remedy. You acknowledge that third party product and service providers advertise their products and services on the Indraprastha Apollo Hospitals website. Indraprastha Apollo Hospitals forms partnerships or alliances with some of these vendors from time to time in order to facilitate the provision of these products and services to you. 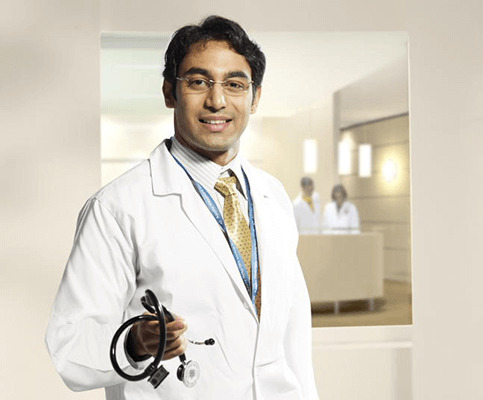 However, you acknowledge and agree that at no time is Indraprastha Apollo Hospitals making any representation or warranty regarding any third party's products or services, nor will Indraprastha Apollo Hospitals be liable to you or any third party for any claims arising from or in connection with such third party products and services. You hereby disclaim and waive any rights and claims you may have against Indraprastha Apollo Hospitals with respect to third party products and services, to the maximum extent permitted by law. Further you agree that to use the Site and contents thereof only for lawful purposes. Any feed back / opinion(s) expressed in response to e-mail queries shall not be treated as medical advice until and unless the physical examination of the patient is carried out no treatment shall be initiated. E-mail transmission cannot be guaranteed to be secure or error-free as information could be intercepted, corrupted, lost, destroyed, arrive late or incomplete, or contain viruses. The sender therefore does not accept liability for any errors or omissions in the contents of this message, which arise as a result of e-mail transmission. Whilst every effort is made to address all queries and to accommodate valuable feedback from the Users, Indraprastha Apollo Hospitals does not guarantee a response or action to every mail. Indraprastha Apollo Hospitals is required by law to maintain the privacy of your medical information, to provide you with this written Notice of Privacy Rights and Practices, and to abide by the terms of the Notice currently in effect. This policy shall be applicable to the information collected or displayed on our website. We assure to take the privacy seriously and to keep your privacy and confidentiality of the information provided to us.